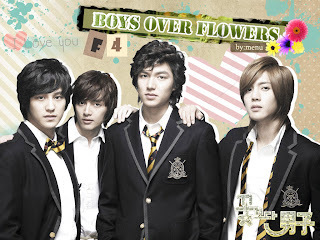 its been 3days since I finished watching the korean version of meteor garden: boys before flowers. I'm still in a state of disarray. feeling lost. don't know what to do...have nth to do. cold turkey. wait till I get the disc from constance. then I shall REWATCH. till then. 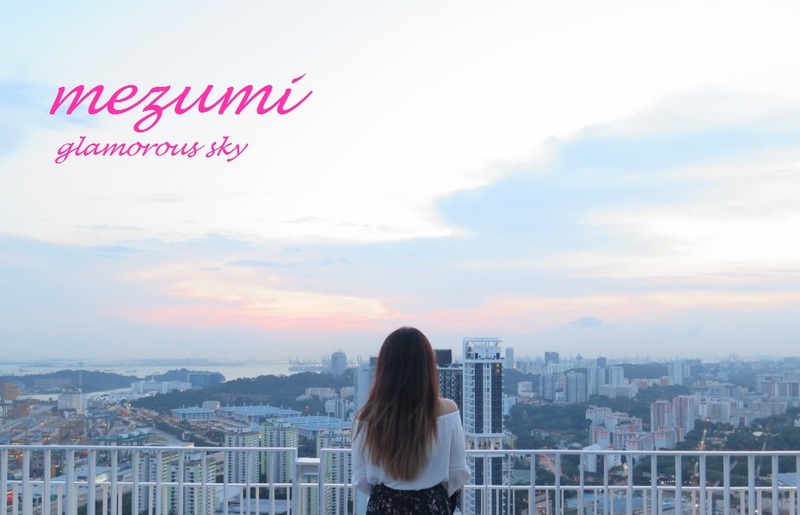 maybe I shall start to watch the jap version. but the korean one is too nice to make me wanna watch other stuffs. I even stopped watching my fav naruto and the code geas which weihsien told me to watch!! anw. I feel the need to blog bout this. ever since blogging bout goong and the return of the condor heroes. anw. the reason why I'm blogging bout this. 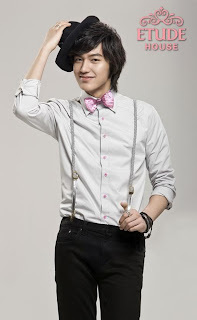 is because of GU JUN PYO. 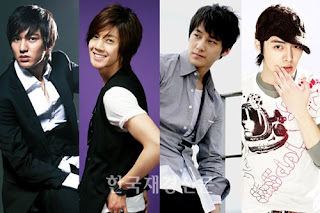 and the korean cast is really pretty. the best compared to tw and japan. 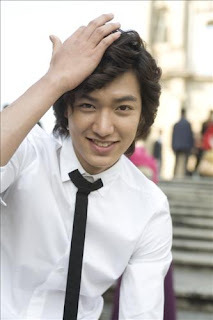 actually at first I don't like the jun pyo's curly hair. but as u keep watching u will realise that its not that bad after all. and someone as handsome as him can suit anything! him modelling for etude house. 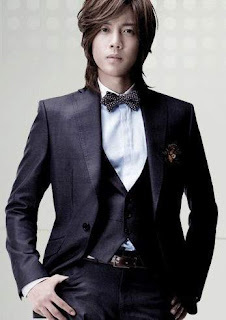 I tink he looks like jerry yan. anw. I especially have a fetish with guys wearing skinny tie. so damn nice can. anw. the next character in line which makes me head over heels in luv with this drama is ji hoo. at first I don't think he is shuai at all coz he has those bae yong jun korean type of looks. but through out the show u fall in luv with his personality more. and the wedding photo with the female lead is gorgeous! I want my husband to wear like that. anw. the f3 yijung is also quite well liked by ppl. yea. cute...but STILL. 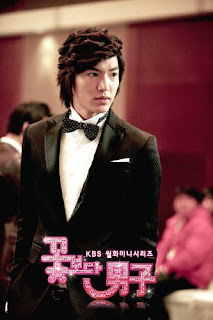 the protagonist is STILL gu jun pyo. if u don't know the story. go watch. seriously if I were to make the situation perfect. 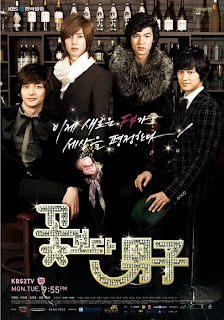 jun pyo should end up with his fiancee jao kyung and then ji hoo and jan di would be tgt. u know. being tgt with your soulmate. like this would be a win-win situation and jae kyung wouldn't have to back out sadly. I really pity her. sobx. jae kyung is the feisty one with short hair. life is full of imperfections. I just feel sad thinking bout it. but anw. here are more pics to cheer myself and u up. and the little f4. so cute rite. 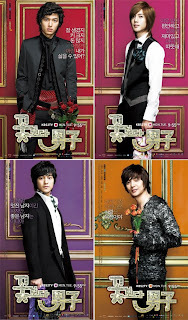 u can tell immediately which is jun pyo. and one last thing. the necklace which is selling like hot cakes bcoz it is the gift that represents both jun pyo and jan di's luv. 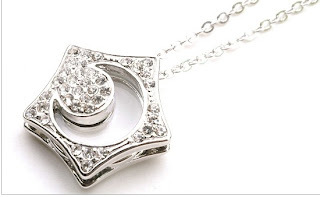 "jan di is the moon that can never get away from the jun pyo star"
ok maybe not marry lah...but will be touched lor. 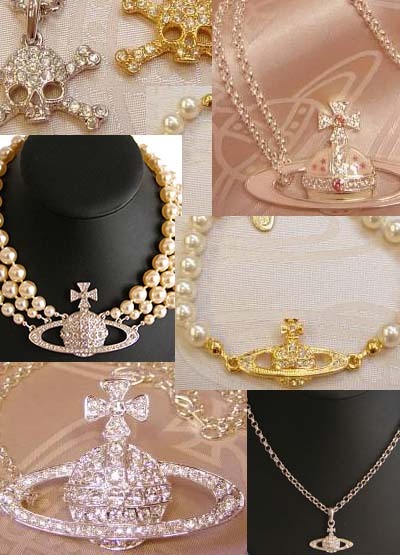 but I would be equally happy with a vivienne westwood necklace. my fav brand! all thanx to nana! I blogged bout her before. ohh man. skinny tie again.